Hyundai brings a major refreshed version of their 7th generation Sonata to help improve sales as consumers shift their tastes from cars to crossovers. There is a new transmission under the hood, just about everything in front of the driver doors is new and the rear end has a bit of a tweak too. Disclosure: Hyundai Canada & JS Auto provided me with the 2018 Hyundai Sonata for a week to test drive, and photograph. All photos in this blog post was taken by me. Comes in 3 different engines and transmissions. We got the top of the line Sonata in our test drive. One thing to note is the 0-100 time is slower than the Accord, Camry and Altima. This specific trim gets the largest wheel Hyundai has to offer for the Sonata so stopping scores are pretty respectable! I was surprised how well the car handled around the corner. It felt as good as the Accord for me however the steering feedback is a little bit numb for my liking. Suspensions are a bit on the firmer and sportier side so you really feel imperfections when driving on gravel roads. The 2.0L Turbo isn't very fuel efficient but if you go for the 1.6L Turbo the overall car is lighter. It can go just as fast thanks to its lighter curb weight and save much more on gas. Passengers can expect to be comfortably driven around! Fairly deep trunks and can fit roller bags up right! 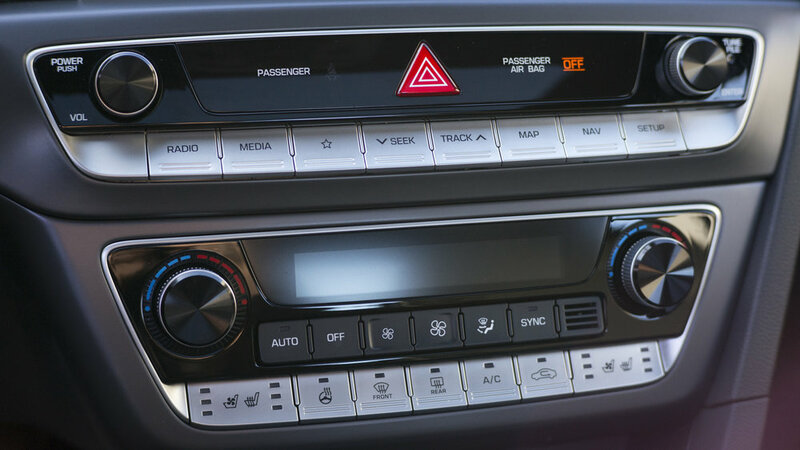 Hyundai's infotainment system is one of the easiest to use although it may not look super modern with its graphics. Hyundai’s Sonata refresh kind of gives it a bit of a Genesis-inspired look on a budget. It has a pleasant steering feel and comfortable suspension. It is a nice car for sure but in terms of being the top in it's class it is going to be very challenging to outshine the Honda Accord and Toyota Camry. If you're looking for a family sedan and you're on a tight budget the Sonata could match your needs! It's still a solid car that isn't boring to drive with a very large trunk and top of the class back seat comfort!